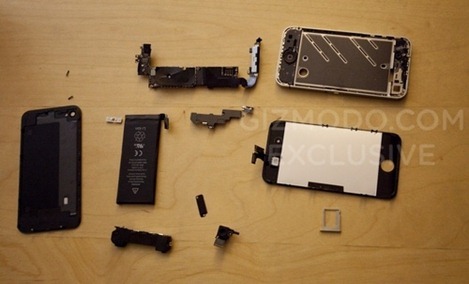 Before handing over the handset back to Apple, Gizmodo had a full dissection of the next-gen iPhone. 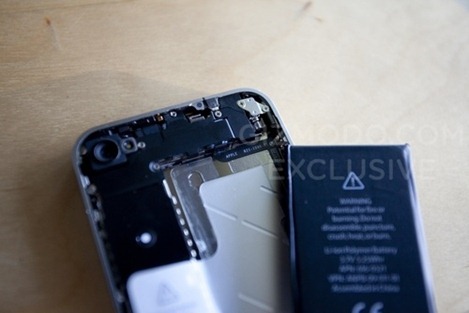 They found out that it had larger battery – around 19% than that of iPhone 3GS, processor (whether A4 chip or not) couldn’t be verified as the logic board was completely sealed by Apple, it had tons of screws and every component was shrunken down to accommodate the larger battery which now takes around half of the inside. They also couldn’t verify how much RAM was in there for same reason as the processor. While Gizmodo did manage to put everything back, John Gruber of Daring Fireball suspects that the reason why Gizmodo couldn’t post “Connect to iTunes” screen was because they probably damaged the handset when tearing it down. $10 says the reason Gizmodo hasn’t published a photo of the display (w/ Connect to iTunes screen) is that they broke it taking it apart. It'll be interesting to see how much the final model differs from this prototype! a bunch of BS. gizmodo did not acquire the new iPhone. this is just a bunch of bull that gizmodo played up to get more hits, that's all.